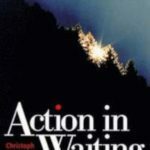 Blumhardt’s dialectical point is that only when we are ready to wait for the coming Kingdom of God are we truly able to act in the world here and now. 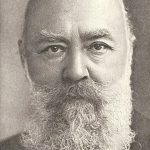 Our religious practices and affiliations do not bring the Kingdom of God a bit closer: A comfortable Christianity will never change the world, says Blumhardt. Instead we must await the Kingdom in “active expectation”.